Reviews Coming at YA (*Kids Too*): Izzy and Oscar Blog Tour with Guest Post! 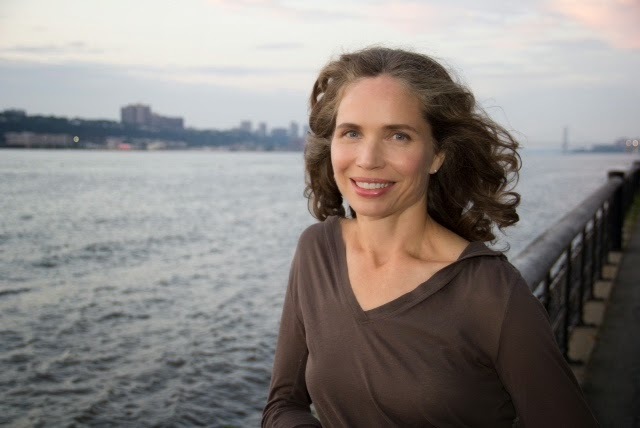 Allison Estes has written more than a dozen books. 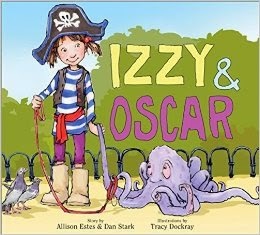 Izzy & Oscar is her first picture book, and was really different and fun to write! Some of her other books are The Short Stirrup Club series (ten titles) for middle-grade readers, four titles in the Thoroughbred series (fun because she got to start over in #24 with all new characters), and Paw & Order: Dramatic Investigations by an Animal Cop on the Beat, which is an adult book but fine for animal lovers of all ages and full of happy endings. After 29 years in New York City, Allison recently moved back to her home town, Oxford, Mississippi. She lives in the country with her son, two grandparents, two dogs, and two horses. Right now, when she isn’t busy cooking supper, taking care of dogs and horses, teaching writing workshops and driving to soccer, she is working on another picture book, another adult book, and more happy endings. Tracy now lives in a creaky, cavernous brownstone in Greenwich Village, with a hairless cat, 2 fuzzy dogs, two children and a very tolerant husband. She is thrilled to have been able to illustrate Mrs. Cleary’s Ramona series and The Mouse and the Motorcycle series since she has a soft spot for them both. 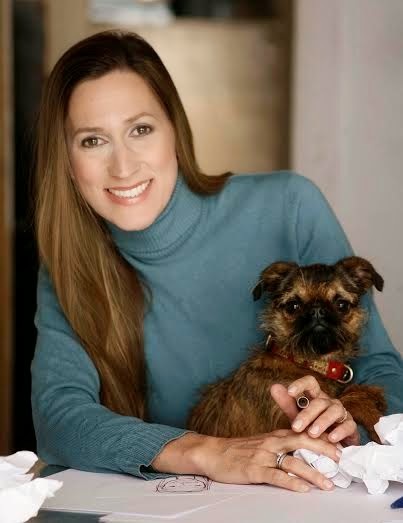 Although Tracy studied Fine Arts in school, she has come to the happy conclusion that drawing pictures for children’s books is the finest art she knows. Visit Tracy's website here and her Facebook page here. What do you consider when drawing a girl character for young readers? When illustrating any character, I approach each story with an open mind as to how the characters should appear. The story itself is what inspires me with its images. I do usually give brown hair to characters that I illustrate, that way more readers can identify. Though I do have a blonde girl in my most recent book, “A Scare In My Hair”. My daughter, who is blonde, said it looked like her. I guess she was right, we had recently gone through a horrible lice experience and that is the theme of the story. I reckon, she wasn’t too far off thinking it was her. Not something my daughter wanted to be reminded of every time she saw that book. Eeks, what an experience dealing with all that was. Ugg! Anyway, back to the question of characters and girl characters in particular. I always want my female protagonist to have a strong personality and look like she isn’t afraid to be herself. Izzy was super fun to create. That girl wasn’t afraid of much, except her friends finding out she couldn’t swim. I like that she was the leader of her gang and wasn’t afraid to jump right in to save one of them. But, however my girls are drawn, and whatever they wear, I want them to feel unafraid to be themselves. AND isn’t that what makes any girl the most appealing?